Sarah Hyland was born in 24th of November in 1990 in New York. She started her carrier just after passing out from Professional Performing Arts School of Manhattan. After that she managed to perform some tiny roles in the movie Private Parts in the year of 1997, Annie in 1999 and Blind Date in the year of 2007. She has achieved her initial chief role as the character of Haley Dunphy in the TV serial Modern Family which was started in the year 2009. For acting in this TV series she has gained many acclamation and several nominations and prizes. She has the fascination of tattoos and we can see several tattoos in her body. 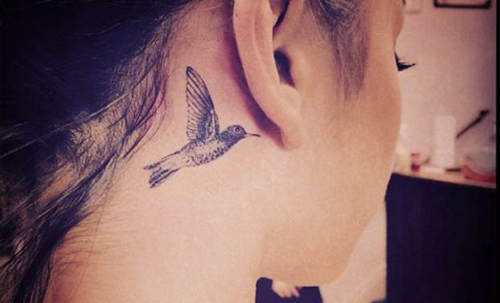 She has inked a Hummingbird tattoo in the year 2014 just under her right ear. A humming bird is described by her as the bearer of joy and happiness. 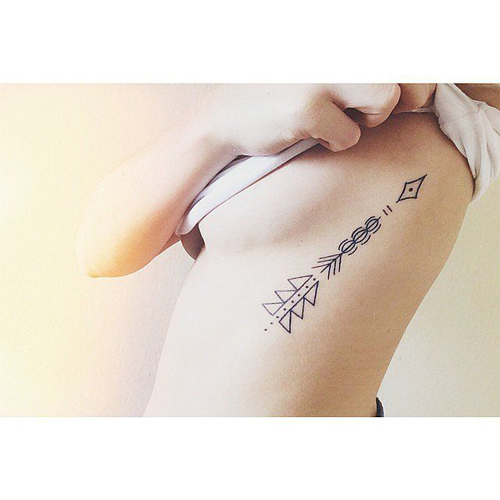 In March 2015, she has inked an Arrow tattoo. The beautiful actress with the presence of tattoo looks pretty awesome. She looks very pretty enough in the tattoos.